The holiday season has finally arrived, and we couldn’t be more stoked here at Goodbye Blue Monday! Finding the right gift for everyone during the holiday season is a daunting task, though, to say the least. If you’re like us, you could probably use some creative new gift ideas for your loved ones this year rather than wasting money on gifts that will end up either buried in a closet or left to collect dust in the attic. Luckily, it doesn’t have to be this way. In fact, this year, you can go above and beyond the standard present routine by giving your friends and family holiday gifts that have heart. How so? We were hoping you might ask — by taking advantage of your favorite custom screen printing company! There’s no better way to show that you care than with a gift personalized to your loved one’s unique style, personality, and favorite things. Whether it’s a niece that is obsessed with that one guy from “The Bachelor” or grandpa’s favorite football team, you can utilize a screen printing company to create custom gifts tailored to the likes of each friend or family member. The following are a few reasons that choosing to work with a screen printing company to check some, if not all, of the people of your holiday gift list can serve you well. Many gifts today have become monotonous, and the last thing you want your gift recipient wondering is if you took the easy way out and purchased the same item for everyone (we all know that one family member). With custom screen printing, you can create personalized gifts in the form of a T-shirt, jacket, hat — anything! As we like to say at our Boulder print shop, if you can think it, we can ink it! This way, when they open up their gift and see something specifically tailored to them, not only will they know that you put heart into giving them a gift they will appreciate, but it will also show that you actually know them and what they like! One of our favorite examples of screen-printed holiday gifts is taking a photo from a cherished memory of people together and printing it onto a shirt or coffee mug for them to remember for years to come. When you are purchasing gifts for someone, nobody wants to receive a gift card that only holds value for minimal amounts of time. People want presents that are useful far past the day they unwrap them. With a custom-designed piece of apparel or similar item from a screen printing company, you are providing a gift that will be appreciated and, most importantly, practically used in their lives long term. The most important aspect of any quality holiday gift is showing that you put your time and energy into providing a thoughtful gift. By working with a screen printing company to have custom gifts ordered, this shows that you didn’t opt to take the easy way out, but instead you opted for a type of gift that builds upon your relationship. If you’re interested in standing out from the pack this holiday season with personalized, thoughtful gifts that will be cherished for years to come, contact Goodbye Blue Monday today! Our custom screen printing company in Boulder has the team and the means to get any gifts made and delivered to you in time for the holidays. Want to create custom holiday gifts but don’t know where to even begin? No worries! We can help with that too. 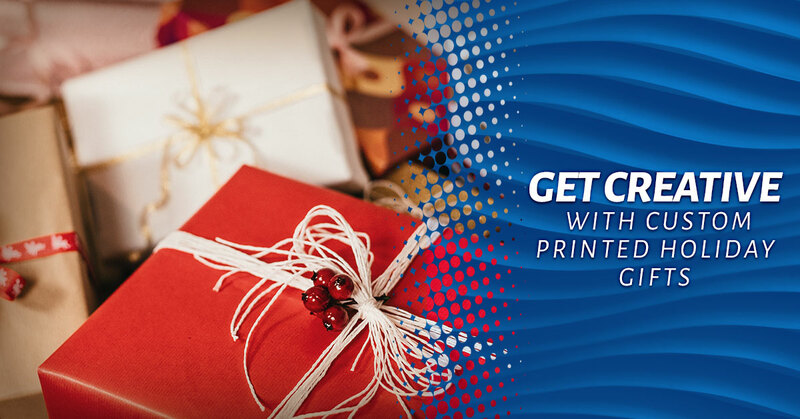 Our screen printing company has an expert design team on staff that will consult with you to help you determine the best holiday gift for each person on your list.